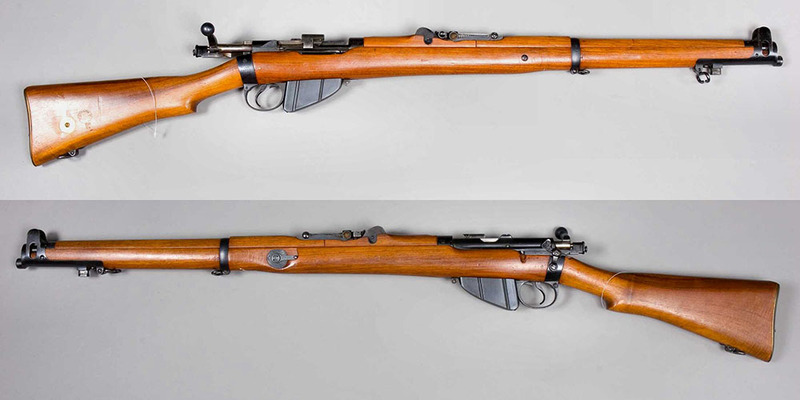 This rifle is the Short magazine Lee-Enfield .303″ or “Smellie” as it was affectionally known. This SMLE was intended to replace all the long rifles and short carbines with one weapon. Charger loading enabled the magazine to be filled with 2 chargers of 5 rounds each, thus allowing 10 rounds to be very quickly swept into the magazine. Coupled to the fantastically quick bolt action, many German Soldiers during the Great War thought that every British soldier was issued with a machine gun!! The back sight was graduated from 200 to 2,000 yards with lateral adjustment for windage as well, while the long range aperture sights fitted to rifles prior to 1914 allowed ranges from 1,700 to 2,800 yards. Once fighting on the Western Front became snap shooting, often at very short range, the long range sights were omitted along with windage adjustment as was the magazine “cut-off”, a pivoting plate that shut off feed from the magazine so that single rounds could be fed into the chamber while allowing a full magazine to be reserved until rapid fire was ordered. This simplified rifle was introduced at the start of 1916 but all types of “smellie” were used throughout both wars and indeed a wire bound version using a grenade “cup discharger” was issued for lobbing Mills grenades using ballastite blank cartridge well into the 1970’s. Because of being 5 inches shorter than the “long” rifle that carried a 12 inch bayonet, the SMLE was issued with a 17inch blade to make up the difference. 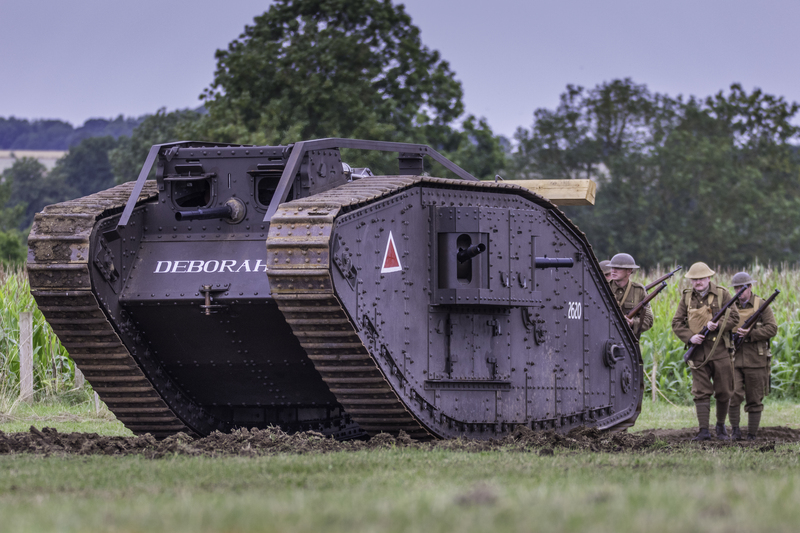 The days of the lance were still very much alive, it still being used at the outbreak of WW1. Many earlier rifles were modified to the shorter pattern; such were the horrendous losses in static warfare on the Western Front that resulted in not being able to recover anything lost between trenches. This rifle is without any doubt, the finest bolt action rifle ever issued to a fighting soldier.